Saving the Environment, Saving the World! The following is a conversation I had with Marvin of 24/7 Road side assistance. I had the opportunity to speak to Marvin, who guided me through the awesome story behind his daily operational activities. "You know what Jordan,... to do this job you have to be someone that loves spending time on the road. You need to be acquainted with all the neighborhoods, you need to have plenty of know-how about cars, and lastly but most importantly, you need to be very capable to help people." When I was on the road with Marvin this morning, heading towards Soto after bypassing Grote Berg, and afterwards going through Tera-Kora, Otrobanda and Juliana Dorp, there were already 4 car incidents in total, of which 3 of them had to do with malfunctioning batteries. With every car battery malfunctioning, we have ready-to-go VMF batteries from Zap Batteries Caribbean that can immediately be installed without any other worry from our members. When Marvin said this, I asked him what the actual difference is between the batteries you get from Zap Batteries Caribbean in comparison to other stores. Marvin explained that other stores lack in delivering value in 2 ways. The first failure of other stores is that their battery-life often is less than a year, in comparison to Zap Batteries Caribbean’s batteries that extend over a year, and so-far 24/7 has never had any complaints. Personally, in my mind, I have seen that the delivery of these values to Zap Batteries Caribbean’s customers has become so engrained in their memory that they barely consider to go to the other stores due to these great benefits they get with Zap Batteries Caribbean. 24/7 Wegenwacht is selling from 2 to 5 of Zap Batteries Caribbean’s batteries to clients per day, as opposed to 10 to 15 batteries to Car rental companies per week. A lot of people don’t realize this, but a battery’s manufacturing quality and performance has a lot of effect on the car-engine’s computer. 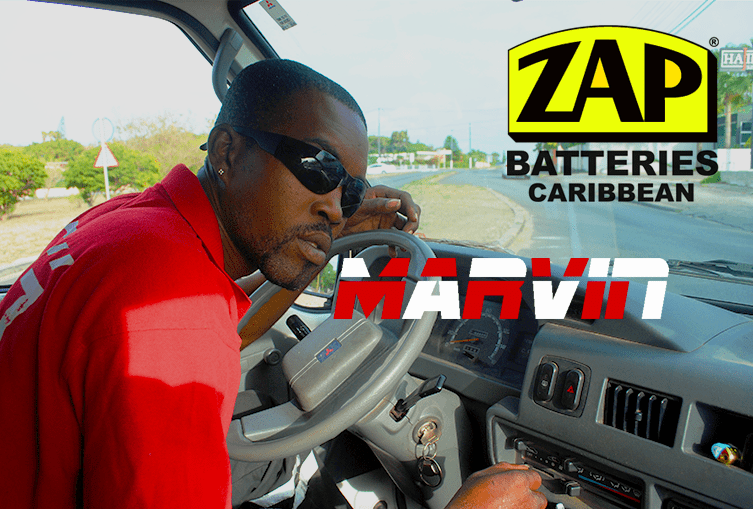 Our experience has taught us that the Zap Batteries Caribbean brand is strong, reliable and trust-worthy. "I even get many blessings from these people. I mean even when people see me on the streets they hunk and wave at me because I helped them once or twice in the past. In my experience I have learned to listen to people, and especially when these clients are nervous and sometimes cannot distinguish their left hand from their right hand due to them being shaken up by the incident. That is the moment where I see the window of opportunity. That is when I do my utmost to shine, the moment when you see that hope again in people’s faces... That is what I stand for, and that is who I am."